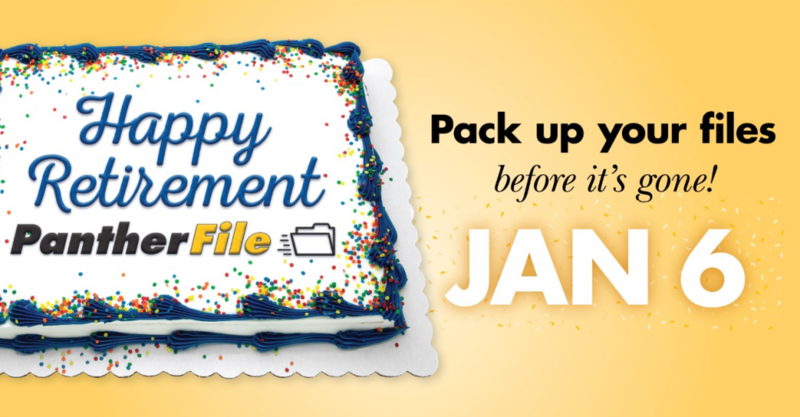 The pantherFILE service retired on January 6, 2017. For everyone who used pantherFILE, this change brought a process of identifying your file storage usage and finding the corresponding migration paths. Please use this website as a gateway for knowledge, resources, and assistance while familiarizing yourself with your new service. Individuals are responsible for the security of their own documents. Data sensitivity is of the utmost importance, and the owner of that data is responsible for its security. It is critical that you protect yourself and UWM by using the correct file storage service. For more information on data security and sensitivity, please visit UWM’s Information Security website. If you have relied on pantherFILE for the online storage of your personal files, OneDrive for Business can ably serve your online storage needs. Already available as part of our Office 365 suite, OneDrive for Business offers each of our campus users a terabyte of storage space and a variety of collaboration features. UWM faculty and staff members who have historically hosted their professional web pages on pantherFILE will now be accommodated by CampusPress. This powerful, mobile-friendly, and flexible WordPress platform will allow users to maintain compelling professional web sites. In some UWM campus units, pantherFILE “group shares” have been established for collaborative file storage in those units. SharePoint Online has been designated as the service to replace such pantherFILE “group shares.” Like OneDrive for Business, SharePoint Online is part of our Office 365 suite. With its robust document management features, SharePoint Online offers a most congenial venue for group data storage and other collaborative work.